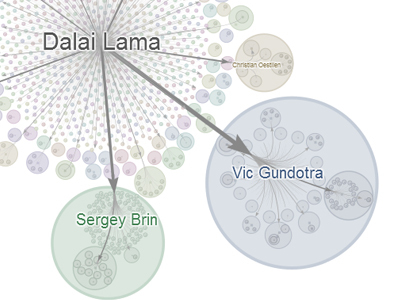 In 2011, Google+ launched a visualization feature to plot how a post spreads as user re-shares it on Google+. 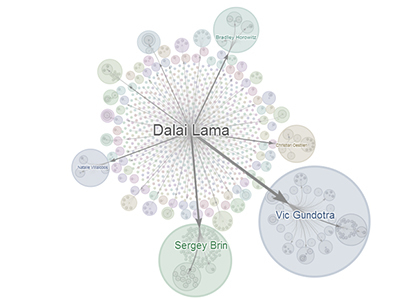 Arrows indicate the direction of the sharing activit, while clustered circles indicate how the original post spreads within and among clusters of user's own circles of friends and followers. A timeline option allows you to watch the post spread over time. The visualization is accompanied by additional statistics and context.